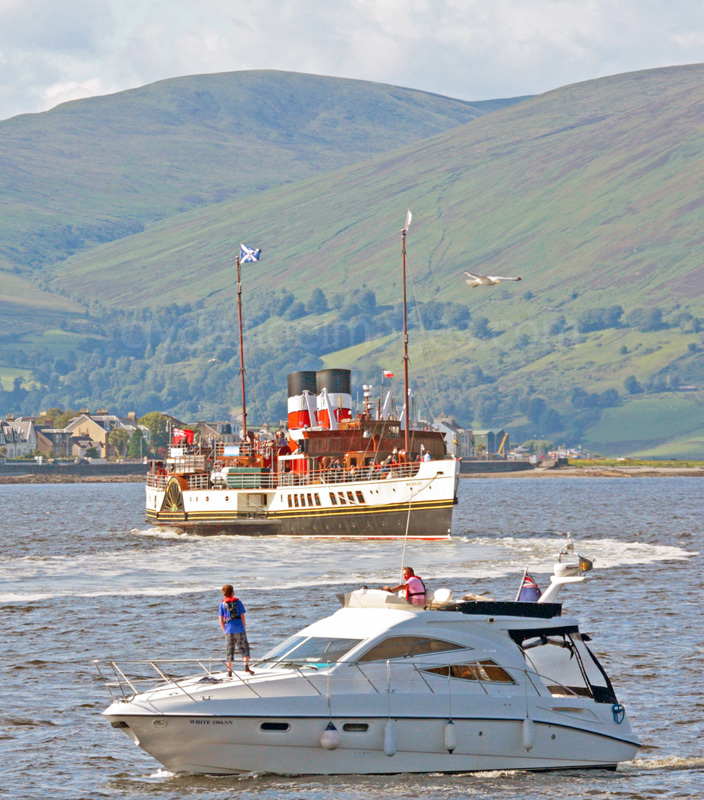 Escorting Cunard`s Queen Victoria to Greenock`s Ocean Terminal. 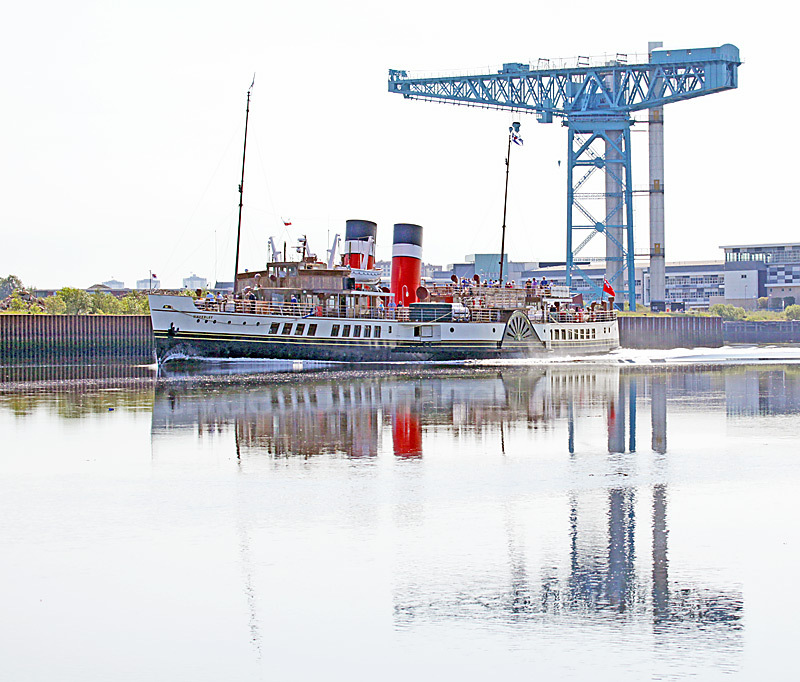 PS Waverley, named after Sir Walter Scott's first novel, is the world`s last seagoing passenger-carrying paddle steamer. 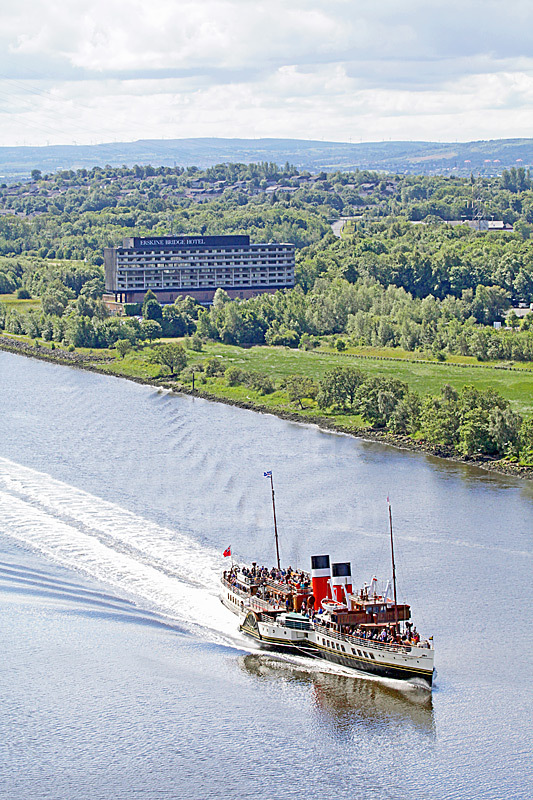 She was built on the Clyde in 1946 by A&J Inglis at their Pointhouse yard. 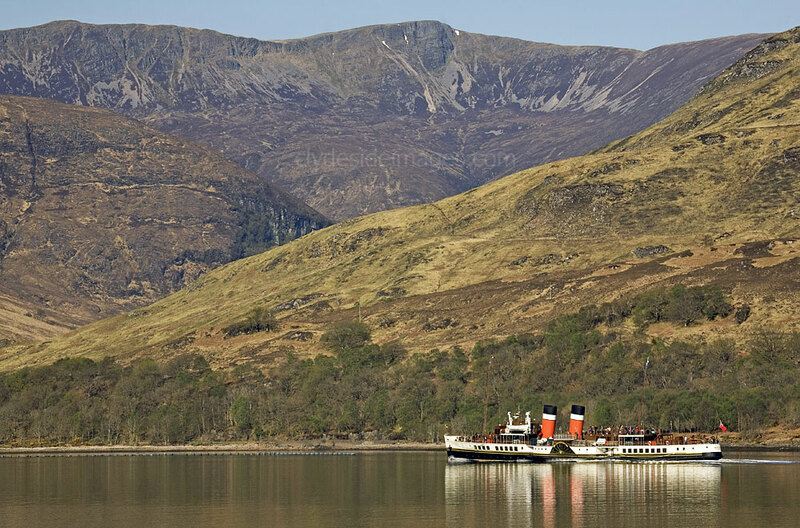 The Waverley heads south down Loch Linnhe towards the Corran Narrows after a visit to Fort William. 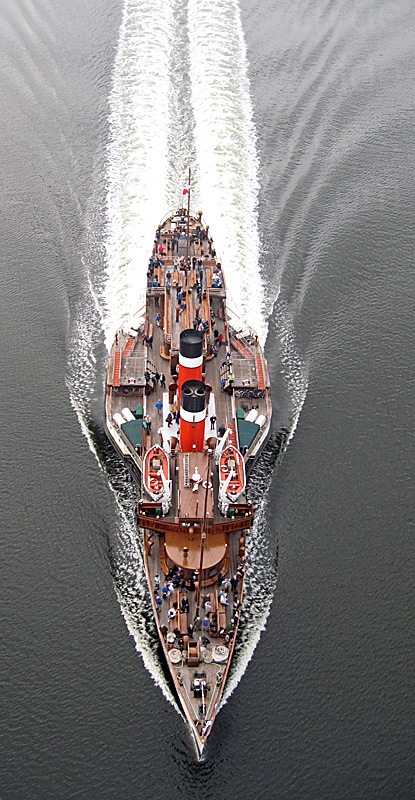 The Waverley at Portsmouth, England.